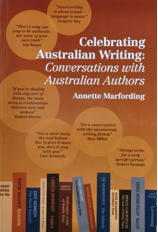 This is the third in my occasional series of Spotlight posts inspired by Annette Marfording’s Celebrating Australian Writing: Conversations with Australian Authors. (See the end of this post for links to the first two.) Since Charlotte Wood won this year’s Stella Prize, the Christina Stead Prize for Fiction (NSW Premier’s Literary Awards), and has just been shortlisted for the Miles Franklin Literary Award for her latest novel The natural way of things, who better to choose for my third post. Charlotte Wood is no stranger to awards. She has written five novels to date, and each of them has won or been shortlisted for awards, which is a pretty impressive achievement. She has also written a non-fiction work on food, Love and hunger, and edited an anthology, Brothers & sisters. Oh, and she has numerous essays, and newspaper and journal articles under her belt too. She is about to publish another book, The Writer’s Room, which will contain interviews with Australian writers selected from the digital magazine of the same name that she edited for three years. I guess it’s easy when you’ve been shortlisted a couple of times to start dismissing it, but the whole prize culture is kind of damaging to literature, I think. It turns books into a horserace and it’s not good for writers and it’s not good for writing either. This is not an uncommon view, and I do understand her point. The arts are not something that can be objectively measured like, say, a 50m freestyle swim or a high jump, but the money and recognition can, on the other hand, be very helpful to careers, particularly, I suspect, early ones. Wood admits that the money is useful, and can help writers keep writing. Marfording then asks Wood about some of the ideas that recur in her novels – family, and abuse and violence. Regarding family, Wood says that it’s because “the intensity of human relationships plays out so well in families”. She doesn’t think that abuse and violence are strong themes – in those first three books – though agrees that there’s an abusive relationship in Pieces of a girl, and there is psychological warfare in her books. As she says “A story without any friction is not a story.” True! Some questions naturally come up in most interviews with writers – recurrent themes being one. Another relates to the writing process, use of research, drawing from other people’s lives, and so on. Marfording asked Wood about these as well. Regarding her process, Wood said that “I start writing and see what happens”. She doesn’t plan, so sometimes the shape of the book comes quickly, other times not so. She doesn’t do a lot of research she says, but may check out the odd specific thing. And then of course there’s that issue of writing from the perspective of other, such as a male point of view. Wood said that she used to worry about this, but her view is that, despite gender, we are not all that different in the way we think. So, she tries to avoid focusing on the physical issues – which are different – and keeps instead to the mental space. They also discussed her writing, which is often described as “lyrical”. Wood says that with more experience she had become “sparer”, that at first she was “so lyrical that it kind of made you throw up”. Imagery, it seems, comes easily to her. In this she reminded me of Thea Astley who also found imagery easy and did put some readers off. She too became a little more spare in her later years, though perhaps not to the degree that Wood describes herself doing. Wood talks of actively focusing on character, plot and structure, and balancing that with her interest in language and lyricism. a short story is perceived as a step to a novel, and there is nothing less true. I find them so hard to write that I hardly ever write them. The interview concludes with some discussions about the “business end” of writing – publishing, editing and writing courses – topics which always interest me, even though I have no plans to write a novel, memoir or any other book! I admire any writer who has the courage to push through the barriers of ambition and vanity to get to the real thing – truth and beauty. Some of the best writers I know are struggling to get published, but they keep going because they are real artists. For the same reasons – truth and beauty – I respect and admire Alice Munro, Helen Garner, Anne Enright, Marilynne Robinson, Kim Scott, Richard Ford, Joan London, William Maxwell and Nina Bawden, among others. What a lovely range of writers – they give a great sense of her writerly values don’t they? Wood comes across as calm and level-headed – and I have heard other writers say that she’s generous in mentoring others. I have decided that my next book has to be The natural way of things. Note: All profits from the sale go to the Indigenous Literacy Foundation. You can purchase the book from its distributor, lulu.com. Interesting to read that Wood had to work at becoming “sparer”. From my own experience, it is more difficult to tone down the lyricism than it is to write with intense imagery. Great spotlight on a clever writer. Thank you. Ah, Karenlee, that’s why you’re a writer! Imagery doesn’t come easily to me! Oh dear, Annette, I hear your pain. I did make a reference to the discussion re “drawing from other people’s lives” but I guess I saw that more in terms of novelists mining people’s lives for their stories rather than the sense you raise here. The mining of lives is an issue that interests me but I didn’t expand on it because I don’t want to give away all the content of your interview. I would like to see people buy the book – for you and the recipient of your donation. (I don’t plan to spotlight every author in the book for this reason too, but I’m enjoying the push my little series gives me to fit in reading it!). I did notice that her new book sounds similar to yours, but not knowing any history, I saw it as another interview-with-authors book of which I do have a few in my collection. Publishing is a tough business I’ve come to learn and I’m rather glad I’m not in that game! Can’t wait to read your opinion of The Natural Way of Things, Sue. I started it last night Elizabeth – just the first two little “chapters” – so hopefully I’ll have a review within the week. But, now you’ve made me nervous! Have just ordered Annette’s book via Lulu. Looking forward to reading it. I think that she is essentially right about prizes even to the extent that they are “anti literature”. Probably a necessary evil though. Also agree with her about short stories. Thanks Ian – yes, I think “necessary evil” is probably a good way to describe it. I think it’s how many writers probably feel. This is such a great piece, Sue. You covered so much in such a small space. I feel like I’ve learned a lot. Thanks! And yes, I’m interested to read what you think about TNWOT, too — and that’s not intended to scare you! Thanks Robyn … glad you found it worth reading. As for TNWOT, it does you know. And I do have your book on my TBR – I wish I could read much faster than I do – or, could find more time to read. On the TBR, I hear you sister! I wish I could read faster, but I think I read slower these days, stopping to think. On TNWOT, I’m mostly interested to hear what you think of the ending. Enjoy. OK, the ending, gotcha! And yes, I read more slowly too – I like to ponder the ideas, the style, the structure, etc. I can’t imagine rushing through books the way I did as a kid, gobbling them up and moving on. What I need is a reading holiday – away from the responsibilities of home and no sightseeing required! I should have kept my mouth shut, but sometimes my rage bubbles over…. Thank you very much indeed, Jenny Ackland, for ordering my book. Sorry it’s too late for you, but for anyone else, the book is also available in most best known independent bookshops in Sydney or online via http://www.coop.com.au/celebrating-australian-writing-conversations-with-australian-authors/9781329142473. ‘Recently, as I was preparing for a memoir writing class I was to teach, I re-read some interviews from Annette Marfording’s wonderful collection ‘Celebrating Australian Writers’. I was struck again by the wealth of insights in this remarkable book where she interviews such amazing people as Robert Dessaix, Peter Goldsworthy and Charlotte Wood. That’s a great write-up Annette. I’ll do one when I’ve finished the book, but she’s right about the depth of your knowledge and the quality of your questions. I’m enjoying the breadth you cover. As for keeping your mouth shut, sometimes you just have to let things out. I understand that. Thank you Sue! As are yours of my interviews! She sounds like a busy, prolific writer! And what an interesting interview. I can see the negatives of prizes on many levels not least of which how it affects the art of writing. But at the same time the money and spotlight can help an author too. A necessary evil as Ian suggests.